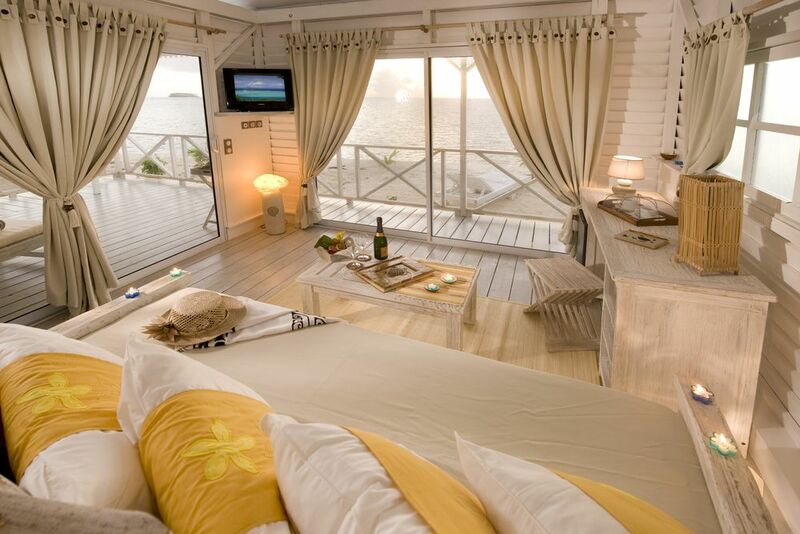 The Opoa Beach Hotel welcomes you to the dream islands of French Polynesia. 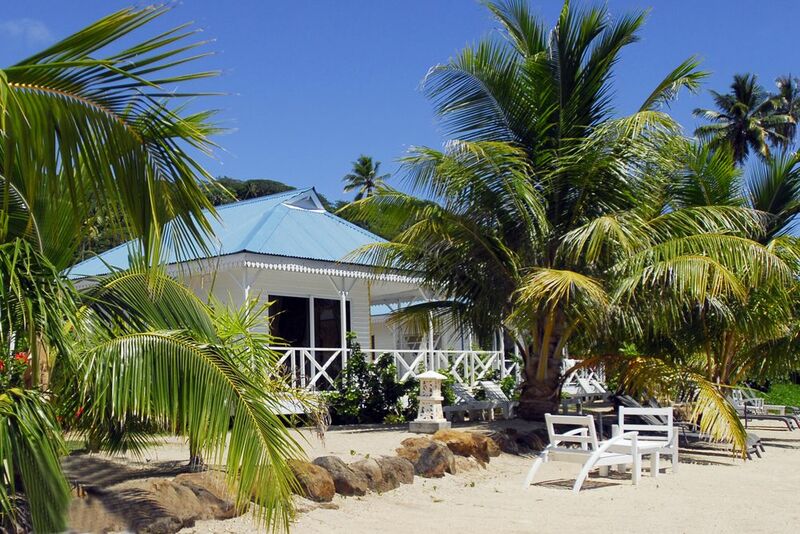 Charming bungalows are your home for the duration of your vacation. The interior is decorated in a country style and features lovely white interior. You are left with nothing but unforgettable memories here. The bar is a popular meeting place for the guests, and not just in the evening. 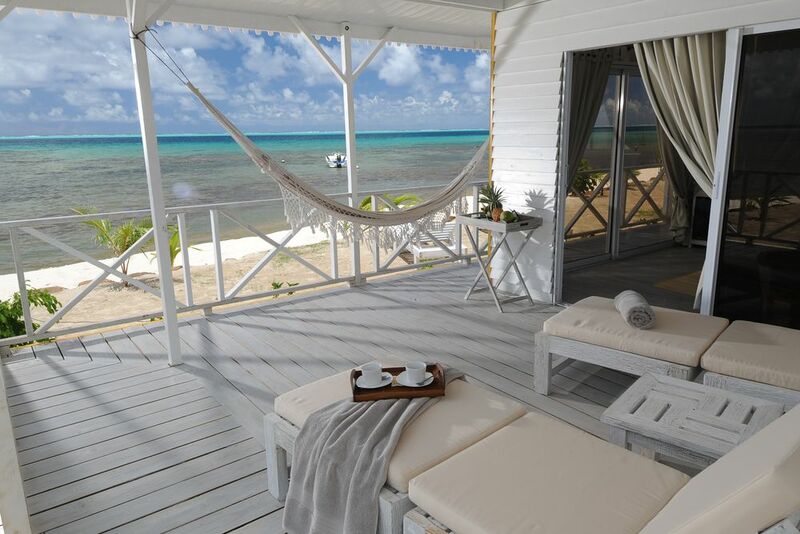 Enjoy romantic views from your luxurious bungalow. The tropical sunset is an absolute highlight! The lonely Motu can be reached by a boat transfer. Relax on comfortable loungers at the beach. Refresh and replenish at the tropical outdoor pool. 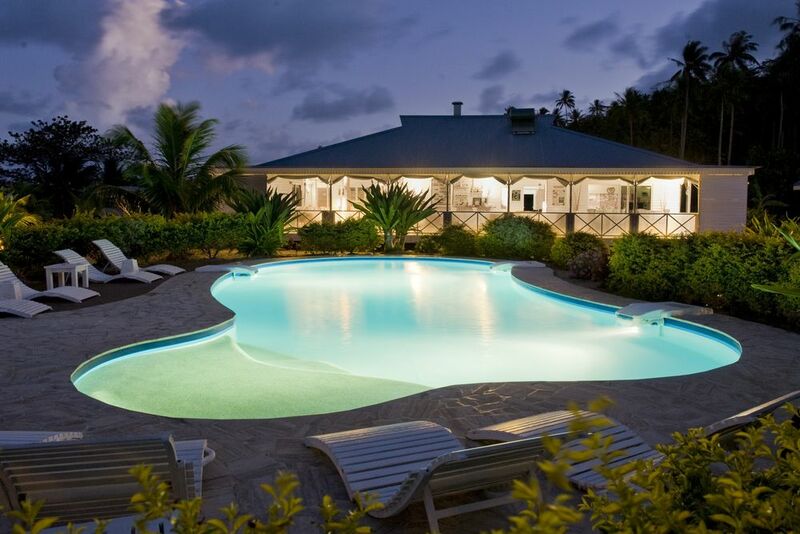 In the evening, the pool lights up for the perfect atmosphere. Palm trees, beach, sun and sea — the perfect combination for a relaxing tropical vacation! 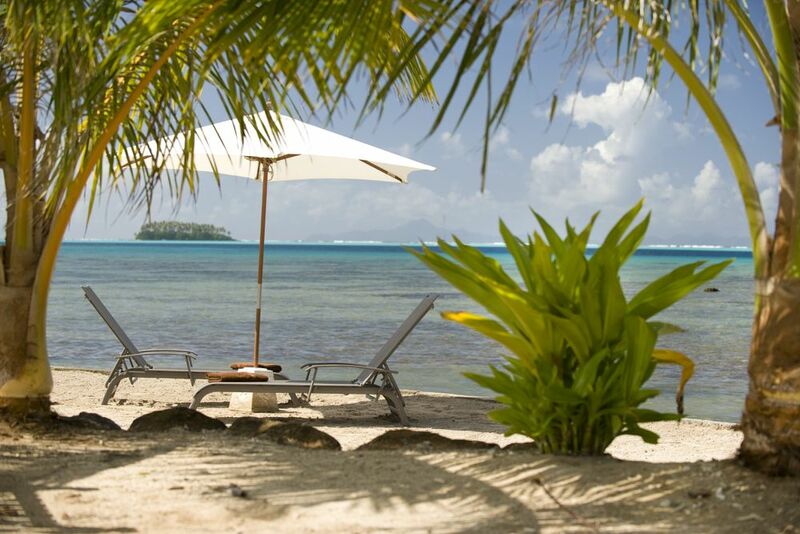 Discover a hidden treasure nestled in the dense forests on the island of Raiatea: the Opoa Beach Hotel! Family atmosphere and white interior are the two characteristics that make the boutique hotel stand out. Relax in a comfy hammock at your bungalow and snorkel around the hotel’s lagoon to discover the colorful underwater world! 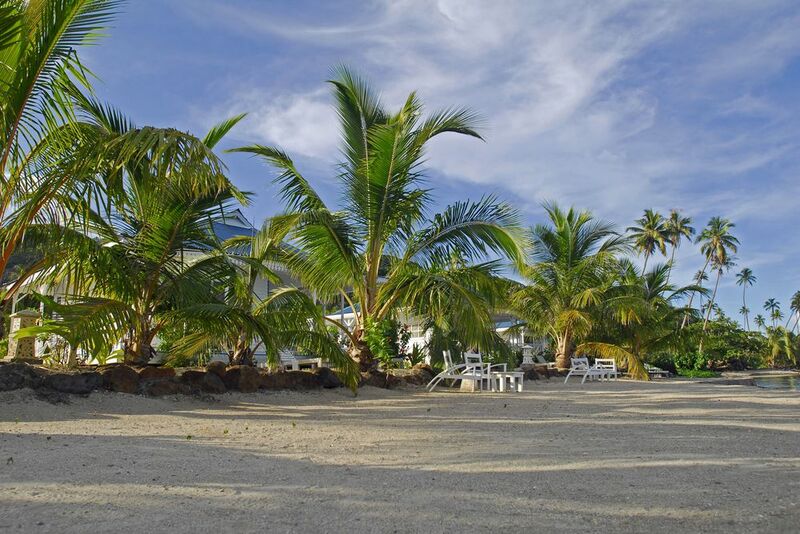 Located in the south of the "Sacred Island Raiatea", the boutique hotel is surrounded with white sand beaches and turquoise water. Since the beach is only a few meters away, make sure to sink your toes into the sand during the evening to catch the unforgettable sunset. 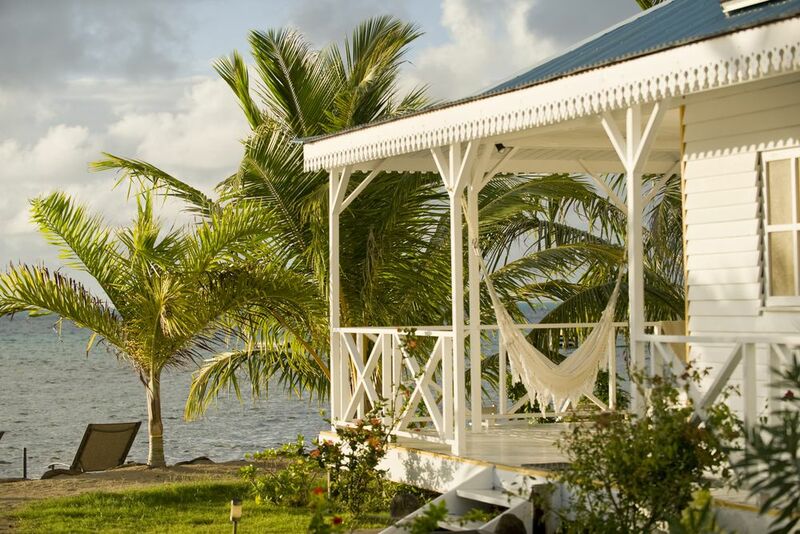 Built by French Polynesia lovers, the small boutique hotel offers its guests authenticity, serenity, and warmth to make your holidays a success. 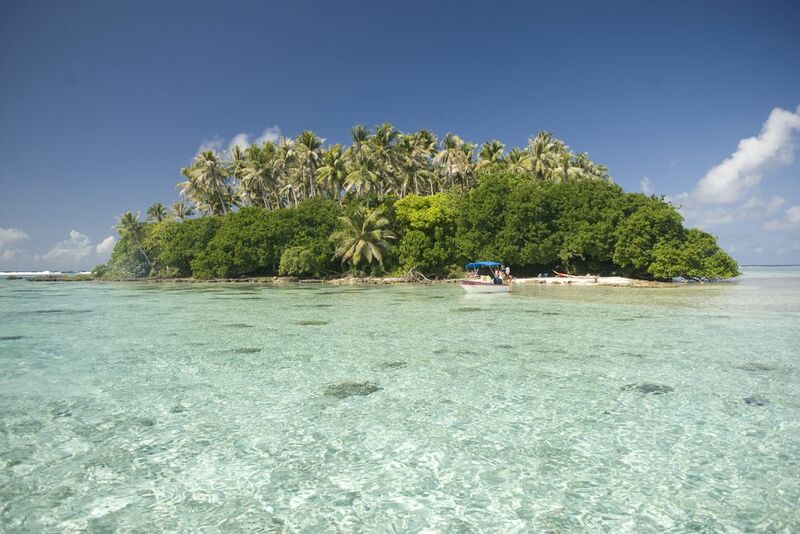 Visit the deepest bay in Polynesia, Faaroa Bay, which is a short 20-minute drive from Opoa Beach. The airport of Raiatea is 40 minutes away and the international airport Papeete in Tahiti is a 45-minute flight. This extremely charming hotel will inspire you to take in every aspect it has to offer. 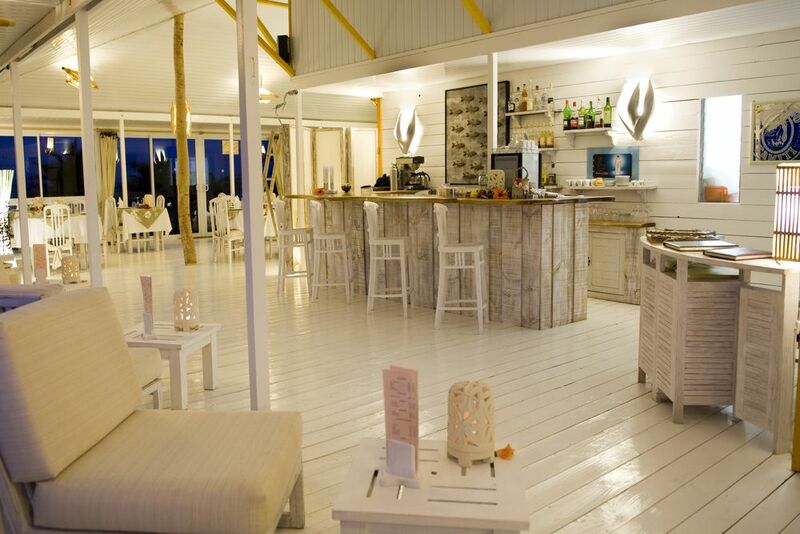 Opoa Beach Hotel has a romantic and magical atmosphere everywhere. The restaurant offers creative and local cuisine that will be hard to forget. Suitable dishes for tropical weather are on the menu, filling your nostrils with delicious scents that makes your mouth water. In the middle of the complex, there is a swimming pool to refresh and replenish. 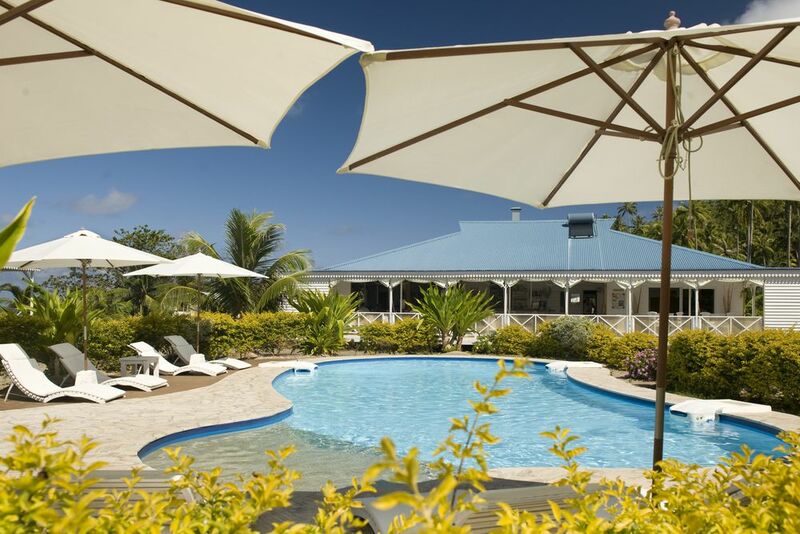 Comfortable beach chairs are arranged and available around the pool for ultimate relaxation. The bar crew can create your favorite drink while enjoying the sun—tropical cocktails or old-fashioned classics are mixed here. The free boat shuttle service to the hotel’s private Motu is highly recommended for a true island experience. It’s the perfect opportunity to simply feel like a Robinson. Free Wi-Fi available in public areas. 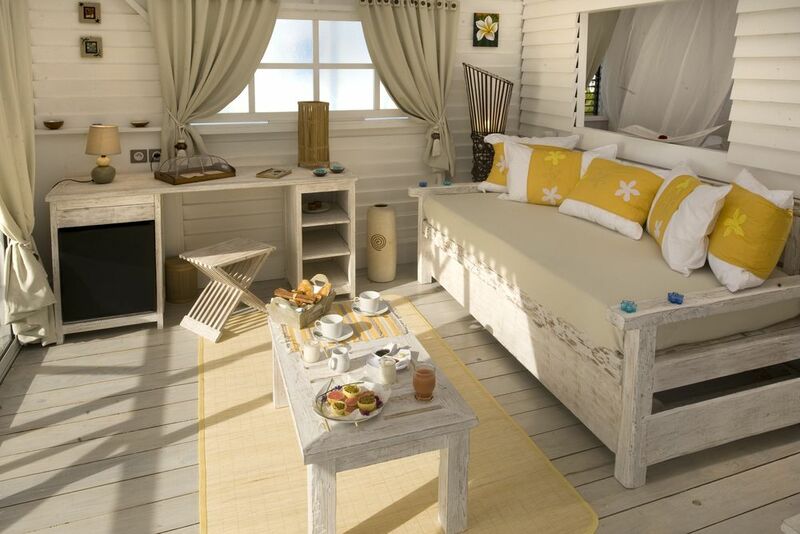 The total of 9 rooms are in country style and decorated with fresh white interiors. All bungalows have sleep beds, minibar, water cookers for tea or coffee, hairdryers, and complimentary toiletries in the bathroom. Garden Bungalow, ca. 50 qm, shower/toilet, hairdryer, TV, CD player, DVD player, telephone, Wi-Fi, ceiling fan, refrigerator, minibar, coffee/tea maker, terrace overlooking the quiet garden of the small resort, and a few steps away from the beach! Beach Bungalow, ca. 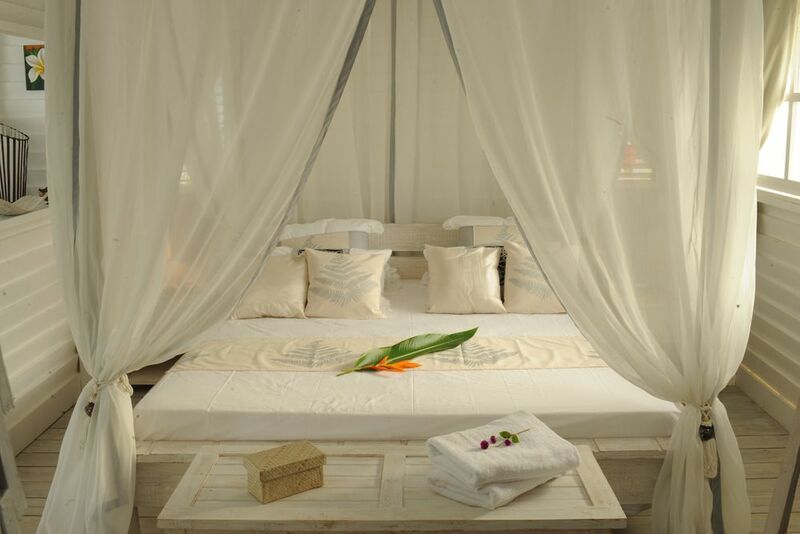 50 qm, white teak wood furniture and wall coverings, private bathroom with shower, 1 double bed, 1 bed with trundle bed, Wi-Fi, TV, telephone, mini bar, ceiling fan, overlooking the beach with lagoon views. Snorkel equipment can be lent, free of charge, to explore the colorful underwater world around the lagoon. Diving equipment can also be lent for a fee to go deeper into the amazing sea life. 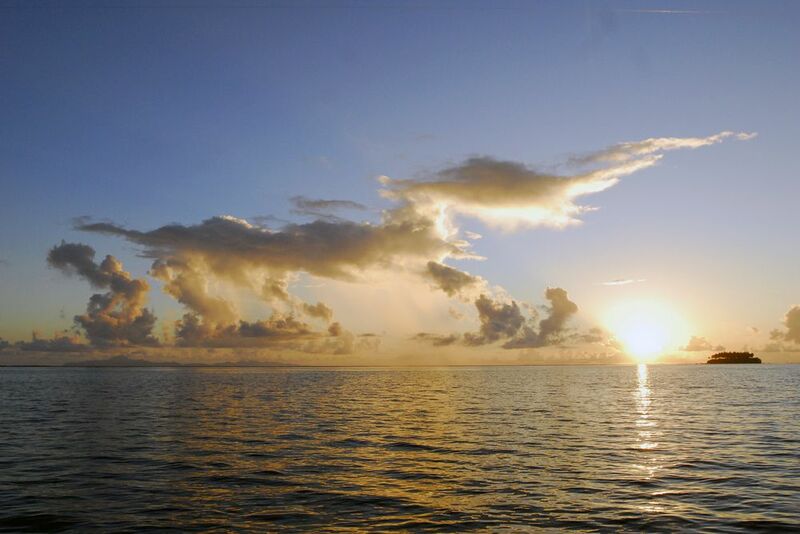 For the most active of the water sports, try water skiing and deep sea fishing!